If you have a bunny, you know that they are not the "low-maintenance" pets that some people think they are. They need a proper diet, housing with plenty of space, and time to run and play every day. For people in bunny love, however, they are definitely worth it! 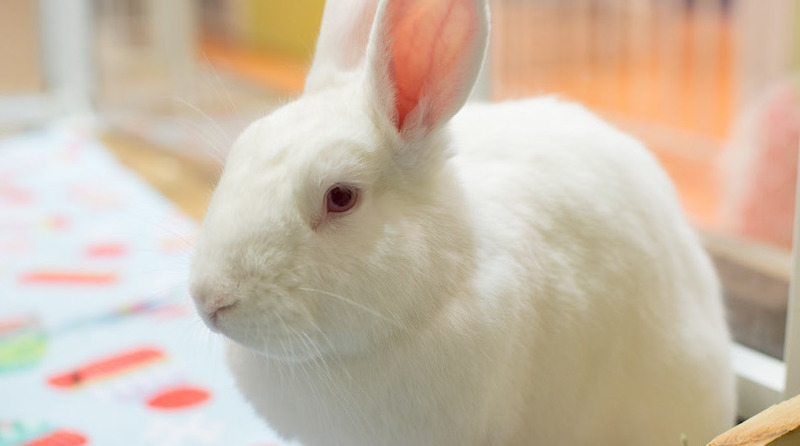 We are here to help you take the best care of your bunny. A bunny's diet should include hay, fresh vegetables, good quality pellets, and perhaps an occasional treat. For a list of local and online stores check our Supplies page. Kanin.org - a website with rabbit-safe herbs, complete with photos! Interested in growing a garden for your rabbit? Check out A Rabbit's Garden for ideas. Beware of Plants Poisonous to Rabbits. There are many types of litter to choose from, but the wrong type of litter can be very dangerous for your rabbit. Make sure to research any type of litter you want to try to make sure it is safe. Never use clumping litter, cedar shavings, or pine shavings. Aspen is the only safe wood shaving for small animals. Pelleted pine litter is okay to use and is a great choice for odor control and absorption. An example is Feline Pine. There are lots of possibilities for bunny housing, from cages to exercise pens. Remember any cage should be at least four times the size of your bunny when he is laying down. NIC cubes or "Organize-It" cubes can be purchased at Target and other home stores. Price usually ranges from $10-15 for a box. You can purchase coroplast for condos locally at Southeastern Sign Supply, 2435 Reliance Avenue, Apex, NC 27539, (919) 363-1722. Leith Petwerks, home of the bunny abode rabbit condo, makes very nice rabbit houses if you don't want to build one yourself. Moving can be stressful, but finding a great place that accepts all your family members should be easy! Many local rental homes and apartments allow pets. Here are some resources to help you find that perfect place to call home.